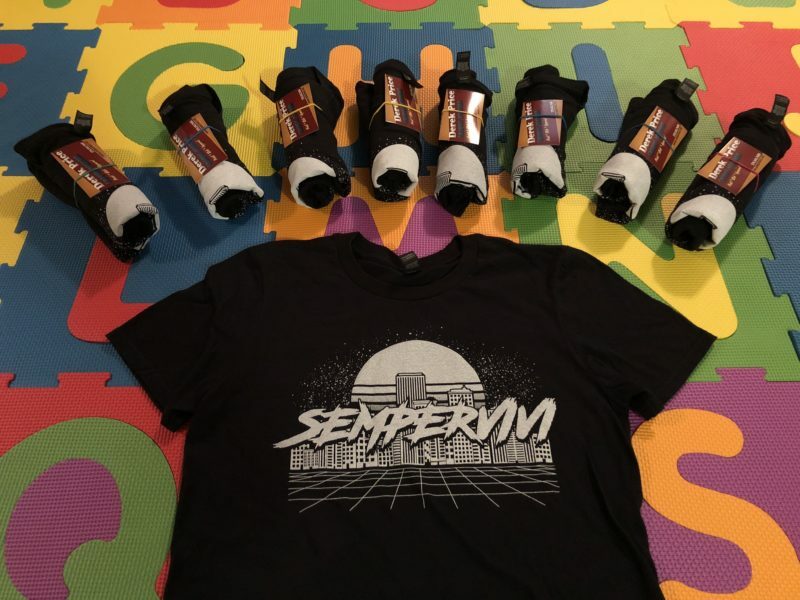 “80s logo” T-shirt (specify size S-2XL). 100% ring spun cotton soft style vintage tee in Black screen printed with White ink. 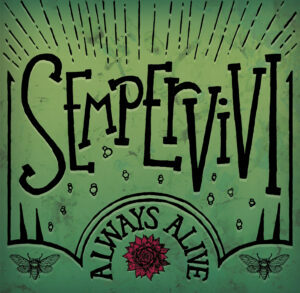 Always Alive T-shirt (Small only). 100% ring spun cotton soft style vintage tee in Yellow Gold screen printed with Red ink. 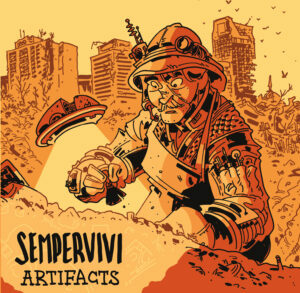 First full band EP on Bad Apple Records from Sempervivi. Featuring guest vocals by Beth Jenkins (The Jettisons), drums by Rob Hanna (Bad Sign), bass by Zack Messick (Re-Education Camp), and lead guitar by Perry Ritter (Bad Sign). Produced by Jason Groves at Sneak Attack Recording Co. in Lexington, KY. 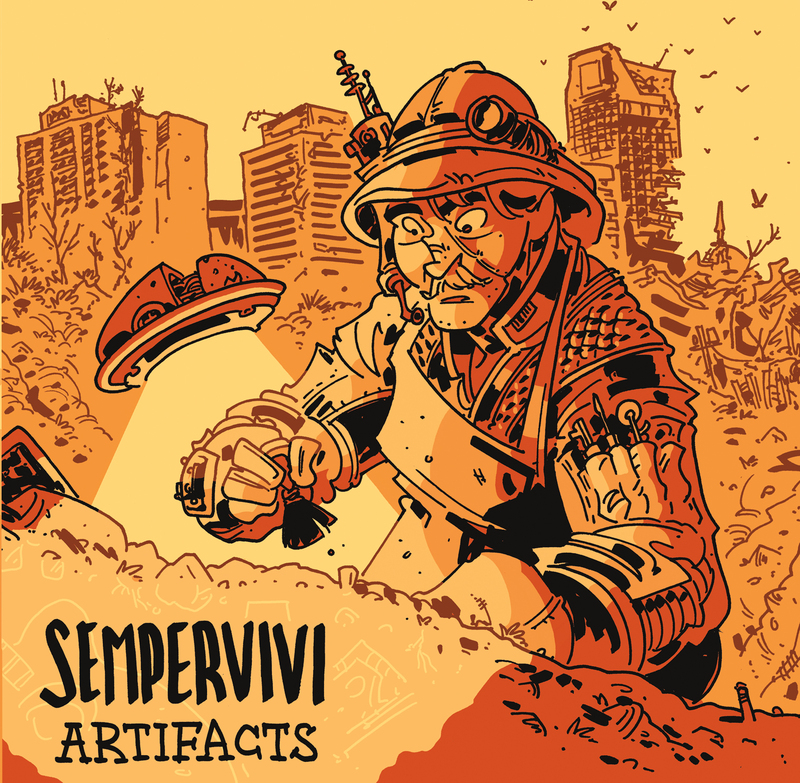 Debut acoustic EP on Bad Apple Records from Sempervivi. Featuring artwork by Chris Schweizer and guest appearances by Taylor Dooley, Brandon Miles and Andy Barnett. 3-pack of rad stickers! High quality UV resistant vinyl. “Folk Out!” design by Derek. 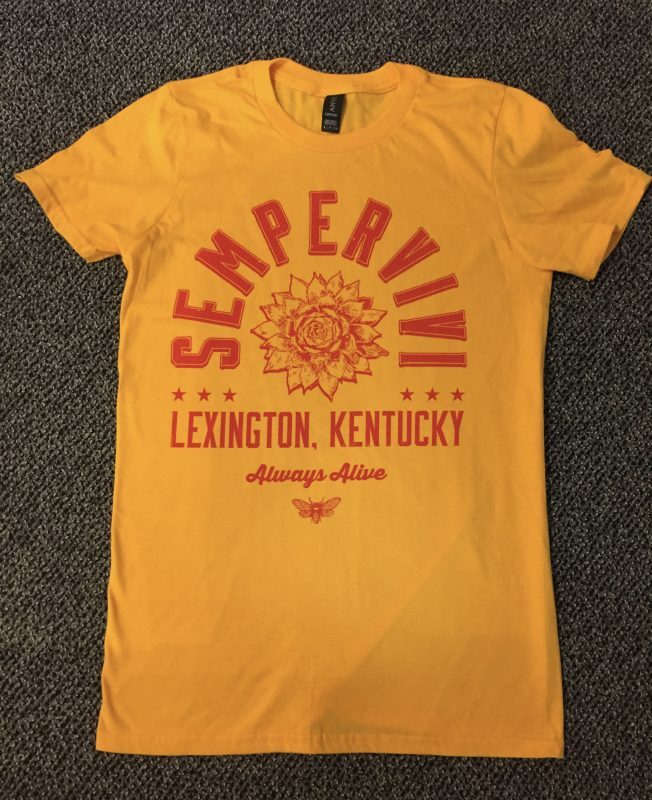 “Sempervivi of Kentucky” design features illustration by Chris Schweizer and layout by Derek. 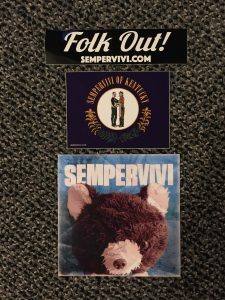 Teddy bear sticker featuring Flash also has a download link for the digital single “So Close”.